biggest and best events of Tucson ! Its the largest UA event completely designed and run by UA scientists to engage the community in our science! Who hosts the annual Festival? The Department of Entomology hosts this multi-organization event. The Department is dedicated to excellence in research, teaching, and extension, and has expertise in insect biology, pest management, and outreach. 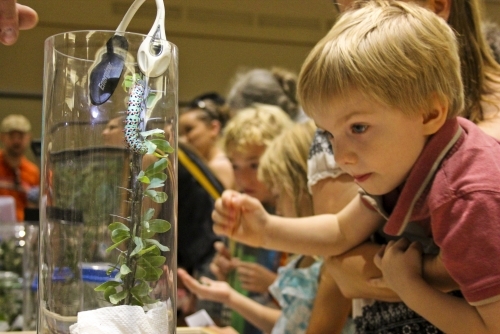 Insect-related research by UA scientists and work from our broader community partners are showcased at more than 20 booths along with hands-on activities and exhibits. The scientist exhibitors are from a wide range of academic departments including Entomology, Ecology and Evolutionary Biology, and Neurobiology. These researchers represent one of the largest and most important groups of insect scientists in the world. Local non-profit organizations such as Southeast Butterfly Association, Tucson Botanical Gardens, Tohono Chul, National Park Service, and the Arizona-Sonora Desert Museum are also exhibitors. To get a hands-on science, technology, engineering, art & math experience with UA researchers and community members. 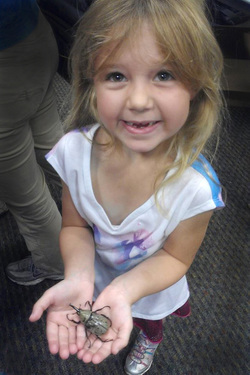 To learn more about the importance of insects -- Come! Meet Your Tiny Neighbors! Why is the Festival free of charge? So that everyone in our community has access to this incredible experience! Where & when is the Festival held? Second Street Garage is charging on weekends now. Click here for an interactive campus map.